Did you know the average cost of shipping a car within the United States is $550? It ranges from $300 to $1,200 depending on the distance and transportation method. Whether you sold your car across state lines or are relocating for a job, you need to move it. When driving isn’t an option you must find the cheapest way to ship a car without blowing your budget. Transportation is available by truck, train, ship or plane. The price depends on the car, the distance, and the carrier. You don’t ship a vintage automobile the same way you move a standard sedan. Keep reading to learn about cheap car shipping solutions. The more you know, the easier it is to make the right choice for your car. 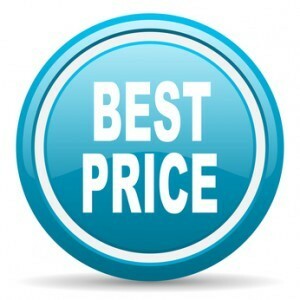 What Determines a Cheap Car Shipping Price? When you ship a car from one location to another, certain factors influence the price. Let’s look at each point. If you have an SUV you’ll need a bigger transport vehicle than a sedan. Luxury vehicles need a carrier that offers extra protection. A vintage, collectible car requires extra care. Will your car be exposed to severe weather conditions? When moving a car in the middle of winter or heat of summer you must consider the weather. Protecting a car from the elements during transport is a more expensive choice. The size of the vehicle may increase the price. How far is your car traveling? Moving across the state is cheaper than across the country. The more miles it travels, the higher the transport price. Next, let’s examine the different ways you can ship your car. Open car shipping is the most common method of shipping a car and the cheapest car shipping service. It’s a good option for an everyday car. There are more open carriers than any other types of transport, making it less expensive. Your vehicle goes on a carrier or trailer that’s 70 to 85 feet long. The usual trailer accommodates two rows of cars on two levels. There are no sides or roof on the carrier, so vehicles are in the elements. If your car isn’t going far, your carrier may use a smaller trailer. It could carry 6 vehicles. Another option is a single vehicle trailer. Open auto transport is the cheapest way to ship a car. The method has pros and cons. Let’s look at the advantages before we discuss more expensive ways to ship. There are more open air carriers than any other type. That means the carriers are available for booking when you need one. If you have several cars you can transport them at the same time. This saves time and money booking with different carriers. Your vehicles also arrive at the same time. 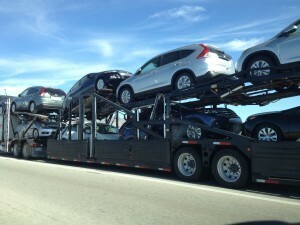 The more cars that are transported the cheaper the car shipping rates are. 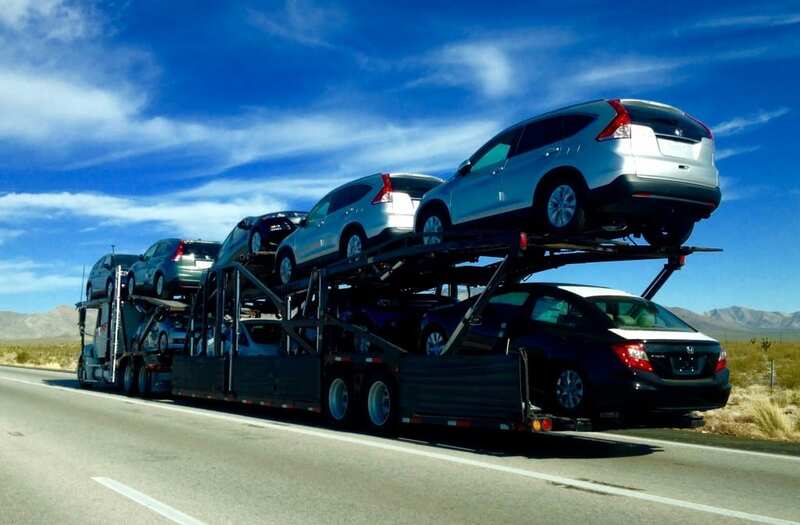 An open car transport carrier is for most car types including a luxury car, big SUV, a compact car or sedan. Open vehicles use less fuel than enclosed carriers. Using less fuel is better for the environment, and costs less for the consumer. The driver has eyes on the vehicles on an open-air carrier throughout the trip. It’s easy to check the vehicles. If you’re looking for a cheap way to transport one or more cars, the open-air carrier is the least expensive. Most companies use multi-carrier open auto carriers. Yet, there are times when enclosed auto transportation is better. Both open and enclosed use a truck and trailer, but there are differences. Let’s take a look. An enclosed auto hauler truck has 4 sides and a roof. It protects the vehicles during transport. It’s secure and prevents debris or weather from reaching the cars. It does make it harder for the driver to do regular inspections of the vehicles. Enclosed transport is appropriate for an exotic, high-end car. It protects it from the elements. But that’s more expensive, and may not fit the budget of most consumers. Enclosed transport uses more fuel than an open auto carrier. The higher fuel costs make it more expensive. In fact, enclosed auto transportation can cost twice as much per mile, we have solutions to get you the cheapest car shipping price possible. Shipping a car to a location with severe weather is more expensive. So is transporting the vehicle during the winter. The rise in cost is due to fewer scheduled routes, and increased driving dangers. A truck driving in a snowstorm on icy roads has higher risks and costs more to insure. If you ship a vehicle to a remote location the cost goes up. If the area isn’t easy to access or is far from a city, expect to pay more. This is most obvious with door-to-door shipping. One way to reduce the price is to arrange for the vehicle delivery to a location like a nearby city. The price is lower if you live in a city, or near a populated traffic route. High traffic areas with lots of truck traffic can lower your cost by as much as 50%. If you live in the mountains, expect to pay more. There are extra security measures for an enclosed truck in high elevations. It will also take longer to deliver in steep mountains. The trailer truck must driver slower up and down the mountain. You could pay a couple extra hundred dollars for delivery. Enclosed auto carriers can only hold 2 or 3 vehicles at a time. Fewer vehicles mean higher costs. Enclosed auto movers use special shipping trailers and equipment. Specialty harnesses and ropes reduce movement and road shock. Extra outer layers add security to the trailer. Because enclosed transport carriers aren’t used as often as open air, they cost more. Less demand means the carrier charges more for the service to make it profitable. Never use an online quote to estimate the price of an enclosed transport carrier. Consider it a rough estimate. Always get a quote from the transport company. That way your price reflects every aspect of your vehicle move. Below are the main benefits you’ll get from choosing enclosed transportation. If you have a classic, exotic, rare or precious-to-you car, choose enclosed transport. It will keep your car safe on the road. Your car is safe from weather and road hazards inside the enclosed transport trailer. Weather conditions won’t affect your car. Snow, rain, sleet, dust, dirt and road debris won’t reach your car inside the enclosed transport. You won’t have to detail your car when it arrives. It’s recommended that any car valued over $75,000 ships in an enclosed trailer. Convertibles, classic, antique, rare or exotic vehicles should move in enclosed trailers. 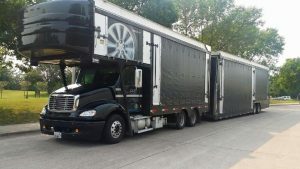 Enclosed trailers transport up to seven vehicles at once. But, it takes longer to load and unload. Enclosed transport can meet special tie-down requirements. Extra equipment to secure the vehicles, plus insurance costs more. Pros load and unload your car with care. It’s protected every mile of the trip so it arrives in the same condition as when it left home. Add satellite tracking to your enclosed transport shipping. Then, you always know where your vehicle is during transport. The peace of mind and safety of your special vehicle is worth the extra cost of enclosed transport. When you choose door-to-door auto transport the driver picks up and delivers your car to a specific address. Save time and money with this service. You don’t have to coordinate a drop-off or pickup location and it is the cheapest car shipping delivery option available. If your location presents difficulties for delivery arrange to meet the hauler nearby. Remember, the auto transport trailer can be a single vehicle carrier or have 8 to 10 vehicles on it. Consider your neighborhood and neighbors when you schedule delivery. Besides door-to-door service, transport companies arrange transport between two central locations. This is terminal-to-terminal shipping. Another option is terminal to terminal car shipping. Terminal to terminal shipping lets you pick the day and time of both pickup and delivery. Your car is secure until the transport carrier loads or delivers it. You don’t have to be present for drop off or pick up. When you use terminal to terminal shipping you drop off and pick up your car in a prearranged terminal or zone. Terminals are often near local airports and major highways in larger cities. You can usually find one near metropolitan areas. If it’s hard to drive large transport trailers in the downtown area terminals are nearby. In fact, 80% of the population lives within 50 miles of a terminal. That makes terminal to terminal shipping convenient for most people. If your travel is between Virginia and Florida you and your car can travel on the Amtrak AutoTrain. Amtrak’s service is for snowbirds headed to Florida. Travelers put their vehicles on the train in Washington, D.C. The passengers and cars disembark near Orlando, Florida. The fare for passenger and vehicle ranges from $300 to $575. Another option is shipping your car by rail on a regular train. If you’re shipping farther than 750 miles the price is comparable to truck transport. The vehicle is in an enclosed train car but can be vulnerable while sitting in train depots. Train transportation is most often used by car dealers moving many cars at once. Individual owners can find openings, but you can’t pick specific dates. The service is only available at certain locations. Dropping off and picking up a vehicle requires a truck, which is an extra charge. If you can’t drive your car across the country, you can hire someone else to do it. But what if you don’t have a friend or relative willing to make the trip? Do you want to trust your vehicle to a stranger? You can use a service like Auto Driveaway. It’s a national relocation service that ships autos across the U.S. with a fleet of drivers. Prescreened drivers have references. Prospective drivers put down a deposit. The driver pays for gas, housing, and food. The vehicle owner pays insurance and a fee. The charge averages $1,100 for a cross-country move. The major downside to this choice is all the miles put on your car. Other relocation methods don’t add mileage to your vehicle. If you want to find the cheapest way to ship a car, open auto transport is the way to go. Almost 95% of vehicles transported use this method. They’re loaded onto an open air auto hauler with other cars, SUVs, and trucks. Together they’re transported to the destination. Your car delivers to you as promised for the best price. Improve your price even more with a flexible schedule. A window of 3 to 5 days on pickup and/or delivery gets you a more affordable price to ship your car. On the flip side, if you’re locked into a schedule for pickup or delivery, let the carrier know up front. Always be clear about your needs. You don’t want any surprises later. We recommend you always check reviews by satisfied customers. You want an experienced company that delivers on promises. Sure you want the cheapest way to ship a car, but you also want the best. Customer reviews and testimonials help you choose the right company for your situation. Contact Car Shipping Carriers at (866)744-2504 for submit your information into our quote box to learn how much it costs to transport your car. Get a free auto shipping quotation. Then, sit back and relax while we move your car for you.